Way to go!! You totally aced it: your IQ is higher than 152!! Brilliant!! Your IQ is higher than 152. People at your intelligence level are easily distracted. You often feel alone in a crowd, and networking makes you feel like a phony. You need alone-time to recharge your batteries, you screen your calls, and you have a constantly running inner monologue. You notice details others don't, and you'd rather be an expert in one thing than try to do everything. Are we dead-on? 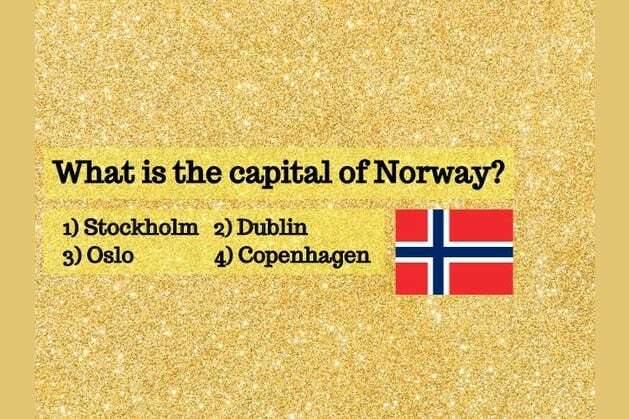 Let us know in a comment below, and SHARE this quiz with your friends to test their IQ. You failed this test, which means your IQ is probably lowers than 152. Don't worry. It actually means you're a great public speaker, and you're able to keep your emotions in check at all times. You are OK with thinking and working outside the box, and always know when to call it quits. Are we dead-on? Let us know in a comment below, and SHARE this quiz with your friends to test their IQ. They say that creativity is worth about 100 IQ points. Do you agree?